West Lafayette Redevelopment Commission President Larry Oates (left) and about 50 other city employees spread out along State Street to welcome students and their families. A group of about 50 City of West Lafayette employees, all clad in blue tee shirts, flanked the city’s redesigned State Street Monday, welcoming Purdue students back to campus. WBAA’s Stan Jastrzebski walked along with Mayor John Dennis and City Clerk Sana Booker and sent an audio postcard. 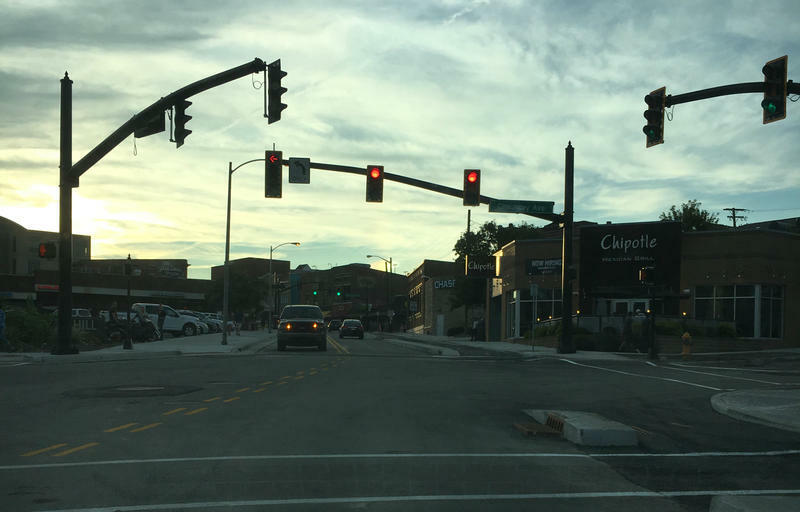 The first section of West Lafayette's State Street overhaul has reopened on schedule. Cars had begun going back up Chauncey Hill from River Road to University Street on the Purdue campus by early evening Sunday. Earlier in the summer, heavy rains had threatened the timetable for the road's reintroduction to public life, but construction firm Rieth Reilly had removed all its equipment from the main thoroughfare's open section Sunday.